Medium, Clairvoyant, Tarot reader. Who what and where? Find out the truth right here. Let 3 decades of professional experience help you find the truth you are searching for. No sugar coating. No wasting time. I have been psychic all of my life. Even as a child I was given messages from my guides and visions of what would come. I embraced any avenue to connect with spirit and become more evolved and knowledgeable about our universe and it's gifts. I began my professional practice when I was in my early 20's, over 30 years ago. I continue to learn and grow every day so that I can pass that knowledge on to those who the universe sends to me. Like you, I have gone through many experiences in my life both negative and positive. I can connect with you to a deeper degree through those experiences because that is how compassion and empathy are born. My gifts are there for anyone who is open and willing to hear what the Universe has to relay. I am at your service. Ask and spirit will speak your answer through me. 1)	I will treat you like a friend or family member. In return, I would like the respect you would give anyone that you might meet in public. 3)	Please only give me your first name. DO NOT give your birth date or any other personal information. 4)	For your medium reading you will need to have the name of the person who has crossed and the relationship to you. Please do not ask me what spirits I see around you. We all have many. Tell me who you would like to contact and we will get started. 5)	I do not answer questions that are vague such as “tell me what is in my future” or “Tell me about my love life” You are wasting precious time and money if you begin like this. 6)	I do not sugar coat or waste time. Some have commented that they believe I am “rude.” I try very hard to give you negative information in a positive way. However, sometimes you will get an answer that you may not like. I am a firm believer that throwing perfume at something stinky doesn’t change what it is 😉 The more information you have, good or bad, the better decisions you can make. 7)	Tarot is used on request or if there is nothing specific you have in mind. 8)	I do not read only Tarot. A Tarot reader worth their salt doesn’t just spit out the meanings. I am also Clairvoyant, an empath and a medium. It all comes into play in your reading. 9)	I do not know EVERYTHING about you, I cannot read minds and I am human and I will get it wrong once in a while. I am human and I ask you to remember that. There are some very unrealistic expectations of what a psychic can or cannot do. If you have questions about that, please ask or follow the links below. Julie was very kind and knowledgeable. She answered all of my questions. Very nice lady but inaccurate prediction. My school district is down sizing and I asked if my school would be closed. She said, "No, your school is safe. They'll close a neighboring school . It'll hit close to home." This morning we heard our school was at the top of the list to be on the chopping block. They are definitely closing our building. Now the tough realities begin. excellent reading. thank you ???? excellent reading!! very accurate!! I really enjoyed what she had to say! amazing! 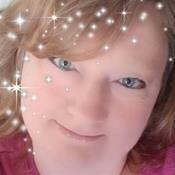 I'm an intuitive psychic reader, medium and guide with information to help you choose your path. I approach my work with love, light and deference to any situation you may find yourself in. Please try to begin each reading with an open mind and heart. Let me help you to find your true love, true passion and true path in life. Julie The Phoenix Rising has been a user of Keen since 2001. Getting Life Questions advice from Julie The Phoenix Rising through www.keen.com is safe, secure and confidential.